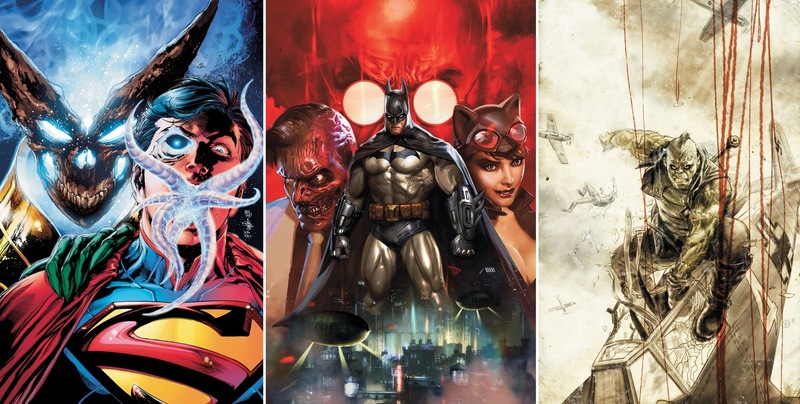 A handful of DC's 52 titles bid their fond farewell in the fourth month of 2012, but don't be April-fooled. May heralds new beginnings in equal numbers, and April finally sees a series based on the continuity of the hit video games Batman: Arkham Asylum/City spring forth! Of all the covers lining up to steal your money, these four look the sharpest. COVER OF THE MONTH: JASON FABOK - DEATHSTROKE #8 Forget handing this book over to Rob Liefeld in a few months, give the 'Stroke to this guy! He's the next David Finch, and no one was born to draw the Teen Titan nemesis more than Finch (or the challenger to his throne)! DC says: As Slade Wilson recovers from the events of last issue, his past and future converge in the form of a bounce-back mission that reminds him why he started down the path as a mercenary to begin with. While Slade weighs whether or not to soldier on, the story of his childhood, military enrollment and first mission as Deathstroke is explored! Write: Kyle Higgins. Draw: Joe Bennett and Art Thibert. Ivan Reis and Joe Prado - Superman #8, Superman, agent of the Daemonites? Dave Wilkins - Batman: Arkham Unhinged #1, Video game based! Viktor Kalvachev - Men of War #8, Final issue, starring Frankenstein! For more April titles, including Vertigo, DC Kids and more, click here. Yep this is definitely the money shot. And the story in this issue should be good also. Jason Fabok is good. The covers to comics usually are better than the interior work. I most always want the two to match up or be done by the same artist. They should keep this guy. Thanks guys - glad you agree the stroke would be in great hands with Jason, that cover has to be one of the defining images of the character I've ever seen! 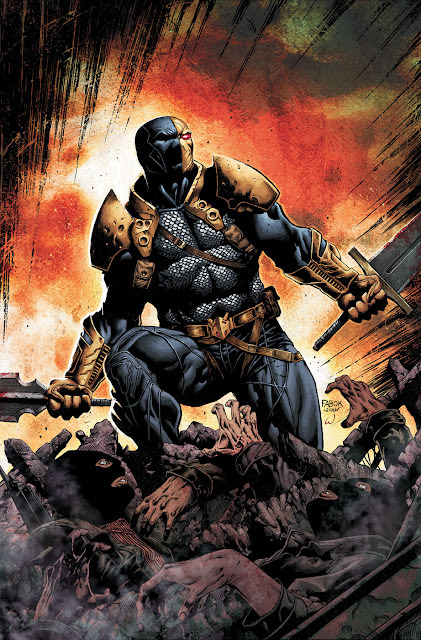 Deathstroke deserves his own series. He's been so rich in character for so long, if Fabok and he became a team, he'd have a run just as long and as famous as any! I think my last few comments disappeared. This would definitely make me think twice about picking up this title. That cover art is perfect. I'm in the same boat with you Craig, if Fabok jumped on I'd pick up a few issues to test the water, that's for sure!